Organizers of the FIS Alpine World Ski Championships are predicting another day of crowds on Saturday for the Men's Downhill. 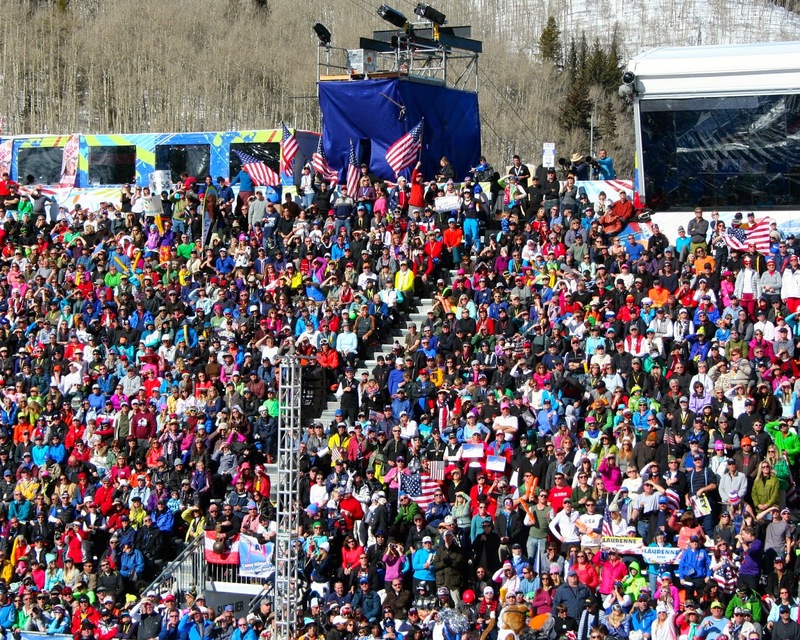 The Red Tail Stadium and all Beaver Creek/Avon base lots (Elk, Bear & Rodeo) are expected to fill quickly. Race fans are encouraged to arrive at parking lots and the stadium as early as possible. Red Tail Stadium gates open at 8 a.m.
For the Ladies' Downhill, on Friday, Feb. 6, all lots were full by 9:30 a.m. The Red Tail Finish Stadium was full by 10:00 a.m.
Park in one of the Vail structures. There is a free bus, called the Vail-Beaver Creek Express, that will take you directly from Vail Village to Beaver Creek Village for race spectating. Buses leave every 10 minutes. Watch the races live from Apres Avon, or from Championships (Solaris) Plaza. Consider watching the races from one of these locations. Additional viewing locations are available on Beaver Creek Mountain, or near the finish line. Consider a hearty hike up to the finish line viewing area below the jumbo tron, directly above the VIP tents. This is a great viewing area right at the finish line even if Red Tail Stadium is not full. For additional spectating information and on-course viewing locations, visit www.vailbeavercreek2015.com.